As promised, XDA senior developer Chainfire released the SuperSU Systemless Root to Root Google Pixel and Pixel XL Android smartphone. Both the new phone running Android 7.1 Nougat and available in the market and many users are looking for a Guide how to Root Pixel Android phone. 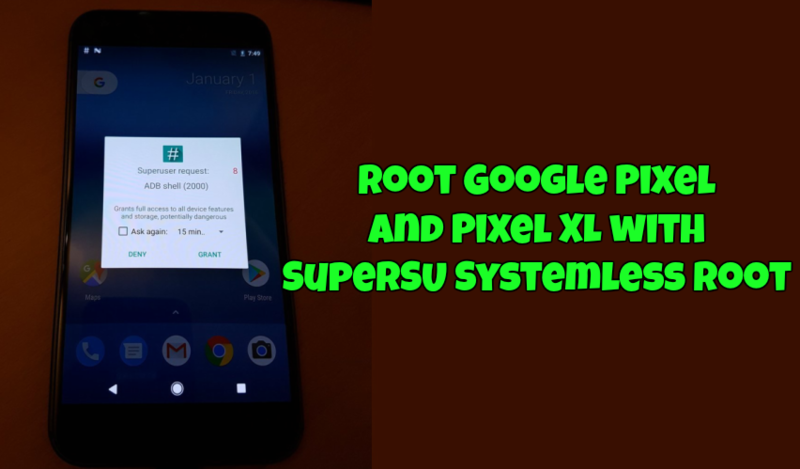 Now this is the good news for the all the Pixel phone lover that SuperSU systemless root are available for Pixel Devices. To get Root access for the Google Pixel and the Google Pixel XL all you have to flash the SuperSU 2.78 SR2, which enables su access without touching anything in the system partition and allowing for dm-verity to be toggled. So if you want to fully root the Google Pixel, here is the guide which you can follow on your phone and get the root access easily. To get started, all you have to unlock the bootloader of your Pixel phone. And after that, all you have to boot your phone in the modified bootloader and your Pixel or Pixel XL should be rooted. So without wasting your time lets get started, Do take the backup of your phone if something goes wrong then you can easily restore your backup. Read all the instruction and follow them step by step on your phone. 1. 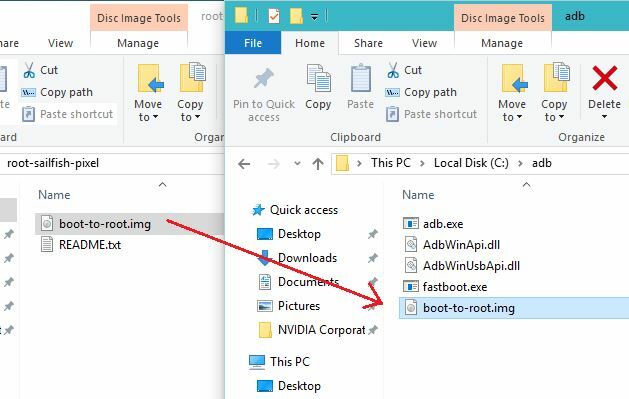 The first and most important step is to setup the ABD fast boot drivers on your window PC to run the fastboot commands. Download ADB setup file here and install the same on your Windows PC. Now you will see the ADB folder on your Windows C:/ Driver (C:/ADB). 2. To root pixel phone, you need to unlock the bootloader first. Below is the link to unlock the bootloader of Pixel phone, follow the first. 3. Now Enable the USB debugging mode on your phone. 4. Download the SuperSU v2.78 SR2 folder for your Pixel phone from the above mention link and unzip the folder on your desktop. Now copy the boot.img to the ADB folder that you created while installing the ADB drivers from above. 5. Connect your Pixel to the PC. 6. Now open a command window inside the ADB folder. To do this “Shift + right click” on any empty white space inside the folder and select Open command window here from the context menu. Wait a few minutes, and after a few reboots, you’ll be booted up with full root access. Yay!